Born: 9th June 1894, 64, Gibson Street, Ipswich. Died: 7th October 1918; age 24 – at Prisoner of War Hospital, Berlin Barracks, Alexandrinen, Germany. Residence: 18, Albion Street, Ipswich. Employed: in the Plough Worksof Ransomes, Sims & Jefferies, Ipswich. 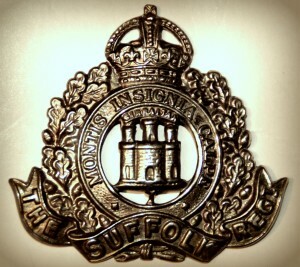 Enlistment Location: Ipswich; Date: 1912. Taken prisoner – 25th August 1914. In 1916, James was a PoW at Doeberitz, near Berlin, Germany. Rank: Bandsman/Drummer; Service Number: 8388. Relatives Notified & Address: Son of Mr G.W. Cobbold, of 18, Albion Street, Ipswich. Brother to GEORGE TYE COBBOLD. 1911 17, White Elm Street, Ipswich. James was 16 years old, a Plough Fitter. he was living with his widowed father & siblings. George William Cobbold, 46, a Plough Painter, born Ipswich. John William Cobbold, 22, a Moulder, born Ipswich. Ellen May Cobbold, 15, the Housekeeper – at home, born Ipswich. Arthur Joseph Cobbold, 10, born Ipswich. William Elliott Cobbold, 4, born Ipswich. James’s mother, Ellen Jane Cobbold (nee Tye), died 1907, Ipswich. 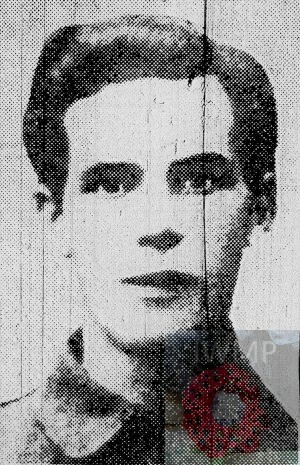 James is also remembered on Holy Trinity church memorial.